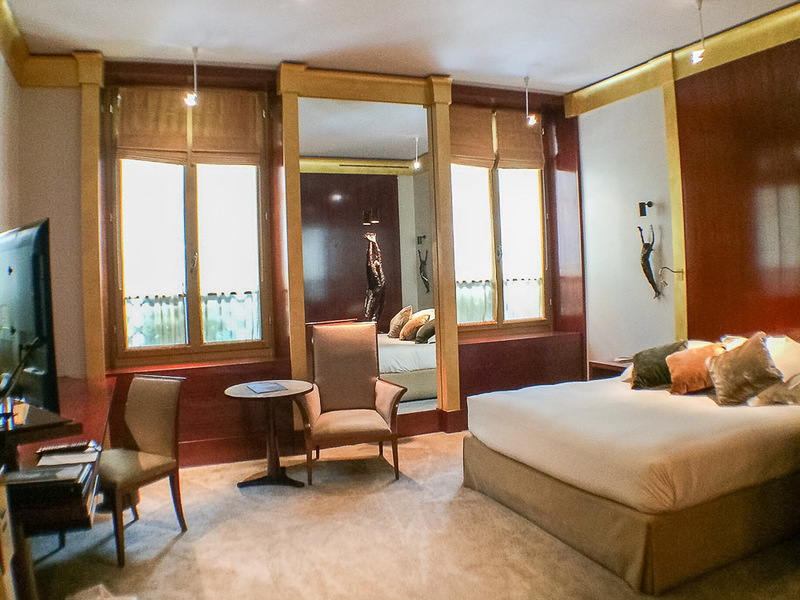 I had the pleasure of staying at Park Hyatt Paris Vendome for six nights in 2014. I have stayed at numerous 5-star hotels, but this is truly my first luxury experience. Because the hotel website doesn’t look enticing, I didn’t know what awaits me until the taxi dropped me off in front of the hotel. As soon as I stepped out with one foot on the pavement, the doorman helped me out of the car while the bellman assisted with my belongings from the trunk of the cab. He got my name and let me through the double doors. I arrived on a Sunday afternoon, and it was silent. I saw no shadow of a guest except for the hotel staffs. The only sound I could hear was the air conditioner as I continued to the reception. The host greeted me by my last name before I could pull out my passport for identification. I guess somewhere in between the bellman had relayed it to the front desk. See … I did not experience this elsewhere prior. They already impressed me with the attentive service, and better yet upgraded me to a Deluxe King. It’s one level above the standard room that I gleefully accepted because Europe is notorious for their small room, much more than I could have anticipated. 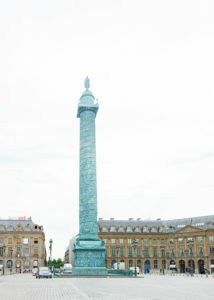 The room I had is facing Rue de la Paix, and if I want, I could poke my head out the window and say hello to the Vendôme column, located in Place Vendôme, a square home to prestige fashion houses and deluxe hotels. Despite the room facing the street, and two stories high, the insulation was pretty good. 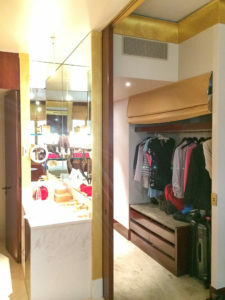 The size of the room matters if you are traveling for leisure. A proper rest and comfortable stay will ensure your day is much more enjoyable. Especially being a girl, I need sufficient space and be as efficient as possible to spend more time exploring the city than the whole morning getting ready. Rich features of gold accent, from the faucets, knobs, to the ceiling moulding adorn the room. The layout of the bathroom is designed meticulously. I love how the bench and sink are built inside the shower, and how easy it is to leap over the tub. Pictures don’t do it justice; the only way to put it to test is by experiencing it yourself. After sufficient time to enjoy myself at the hotel, it is time to explore Paris. Park Hyatt Vendôme is situated in the heart of Paris, just a few minutes walking to Place Vendôme. 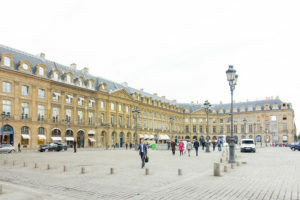 Place Vendôme is the starting point of Rue de la Paix, and according to some authors, with the opening in 1875 of the Palais Garnier on the other end of the Rue de la Paix, the center of the Parisian fashion life started gravitating toward Place Vendôme. All are within walking distance. If you don’t mind a long walk, stroll along the river Seine on Rue de Rivoli, passing The Louvre Museum, and crossing Pont des Arts to visit Musée d’Orsay on the left bank. The museum has a rich collection of Impressionist and post-Impressionist masterpieces by painters including Monet, Degas, Renoir, and Van Gogh. 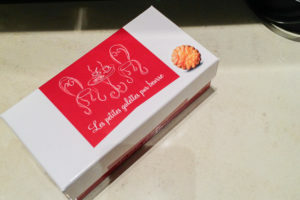 From d’Orsay, if you still have time and energy, keep walking on the street along the river Seine you will find the most visited, great symbol of Paris and France, the magnificent Eiffel Tower. 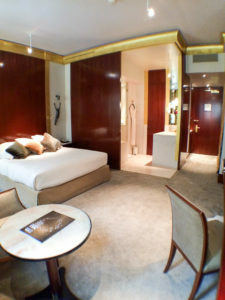 Park Hyatt Paris Vendôme is one of the best hotel in Paris, renowned for its hospitality and its location. It was one of the most memorable visits I have with the city of lights. 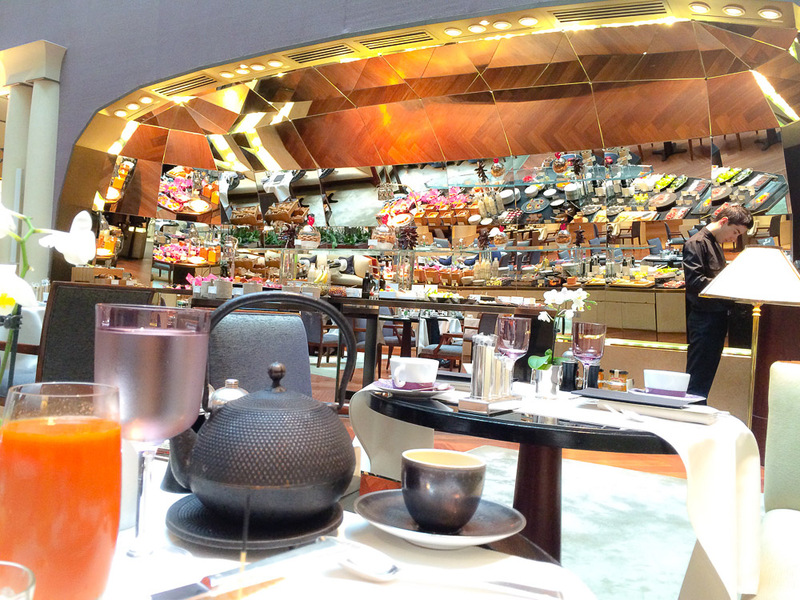 Breakfast buffet located inside Les Orchidees restaurant. 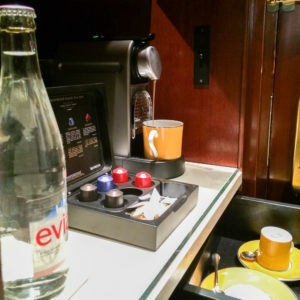 Complimentary for Diamond elite, including items from the hot menu.